We’ve heard it a million times: You’ve got Bugatti dreams and a Civic budget, because life isn’t fair, which forces you to pretend, each painful day, that your four cylinders are 16. You’ll probably never get much more than a small-scale Bugatti model car with that Civic money, but if you sell your house, you might just be able to afford a Bugatti Veyron’s interior. It’s kind of like the real thing. And, if we’re honest, “Veyron owner” has a ring to it that “homeowner” never will, even if you only own part of the car. Surely these luxurious seats and the fuzzy feelings in your heart will keep you warm during the winter, in deeper and more genuine ways than the walls of your home ever could. 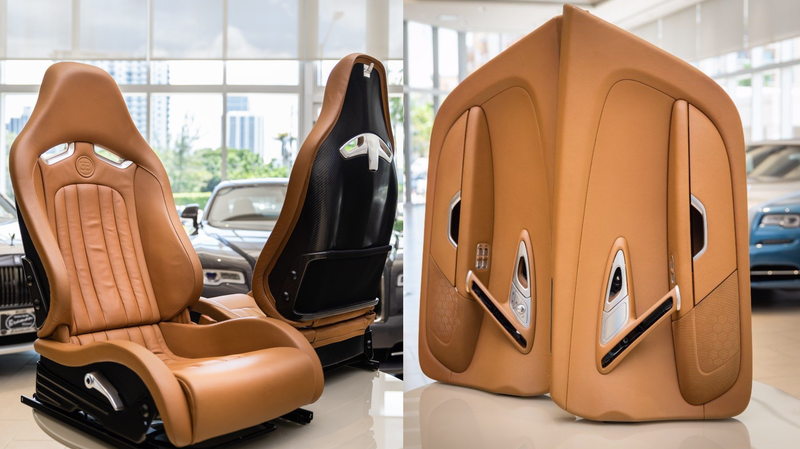 This interior, according to its listing by Miami dealer Braman Motors on eBay, was pulled out of a 2008 Bugatti Veyron 16.4 before the owner took delivery of the car. It includes the dashboard, two seats and their belts, door-trim panels, shift knob, air-conditioning controls, steering wheel, center console, glovebox and other interior pieces. The asking price is a casual $149,999. The dealer said in the listing that the interior’s been stored in a climate-controlled area, and that it fits Veyron models from 2006 to 2015. It’ll also fit the big, Veyron-shaped hole in your heart, if you don’t have a Veyron to put the interior inside of but you already sold your house and there’s no going back now. The asking price is pennies in Veyron terms, since an intact 2008 Veyron 16.4 sold for $950,000 at auction in late August. That would make this interior about a sixth of that price, which seems like a little much considering that the rest of the car includes a chassis, a body, a 16-cylinder quad-turbocharged W-shaped engine, a transmission, and all of that other stuff. But, you know, I could be wrong. Rich-person financial math isn’t my strong suit. But none of that math likely matters to the person with enough cash to afford a new interior for their Veyron, or for you, who already sold your house to make your 16-cylinder dreams come true. And, at the current eBay rate of one view per hour on this listing, those dreams have never been more within reach.